Alright a little over 7 months to go till Imogene Pass Run. And yes it’s still early enough they haven’t even posted the registration date yet. But I’m getting ready. I figure if I’m going to run 17 miles and in the first 10 miles go up 5000+feet I’d best start preparing. Really looking forward to that downhill. Or maybe my knees aren’t. I’m really thinking about the finish line. Or maybe just the hot springs AFTER the finish line. And the chocolate shop in Ouray. But first things first. Like registering for the race and preparing for it. The best part is that I’ve convinced my good friend Bekah to do it with me. Not sure how but she agreed. Maybe because she also works a crazy schedule and works nights as a nurse and those of us that do night shifts don’t really have much common sense. Because seriously people should sleep at night. And people shouldn’t run up big hills. But we’ve decided to do just the opposite. We’ve been running together about once a week the past number of weeks. Just to get some miles under our feet and get those muscles working. Of course do I need to mention that it has been January? In Colorado? Which means snow and cold. One day we headed out on a run and commented on how it was so much warmer than our run the week before (mind you I still think it was 28 degrees that day). Gloves, hats and layers go a long way. We did have a couple of nice days that were in the high 30s/low 40s and got a couple good runs in on those days. Not a lot of snow but still cold, can’t complain about the view though! 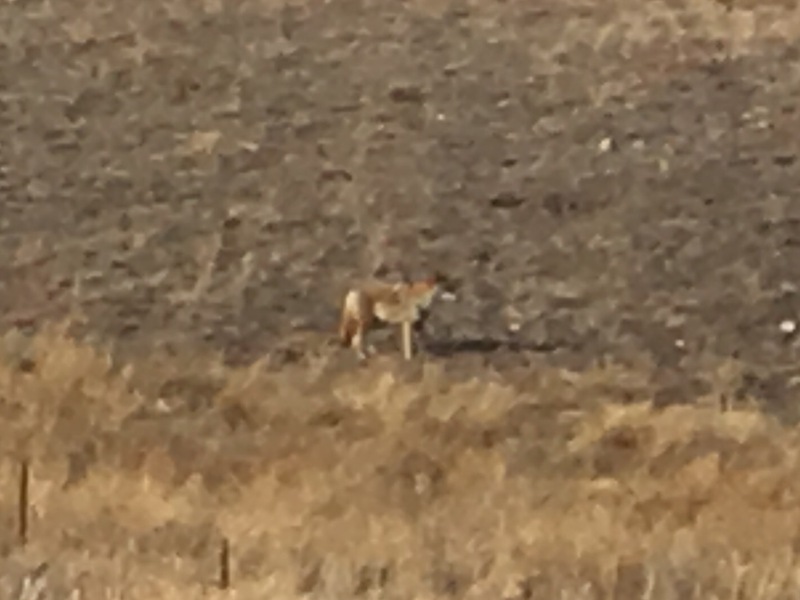 On one of our runs we came across a nice BIG coyote. I don’t know what it is with me and coyotes lately, I think this was the third one that I had come across. He crossed the path and just stopped and looked at us. I tried hard not to look like a tasty dinner. Bekah picked up a couple big rocks. I figured Bekah was smarter and so I grabbed a few too. Either the rocks or my un-appetizing looks scared him away and we continued on our run. But we did glance around and behind us a number of times on that run that day just to make sure he decided to stay away. 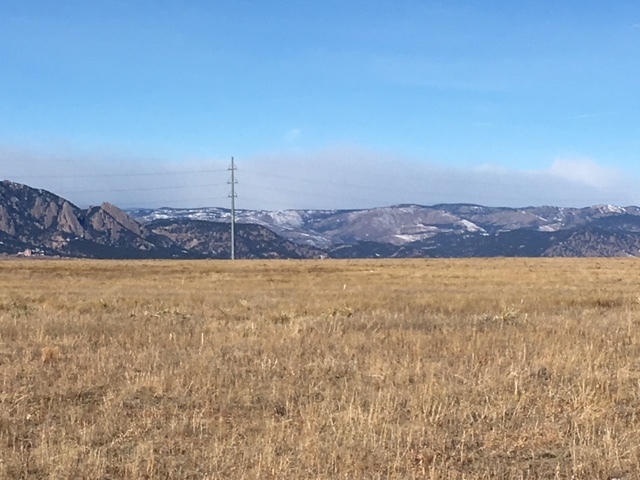 While I wait for the registration and then the actual race I’m signed up to run the Colfax ½ marathon again this year with Clint. Although I usually get frustrated with him because I actually train and run and he just shows up and runs 13.1 miles like it is no big deal. Like yesterday we went for a run and he hasn’t ran in weeks and acted like the 7 miles was a walk in the park. Oh well. 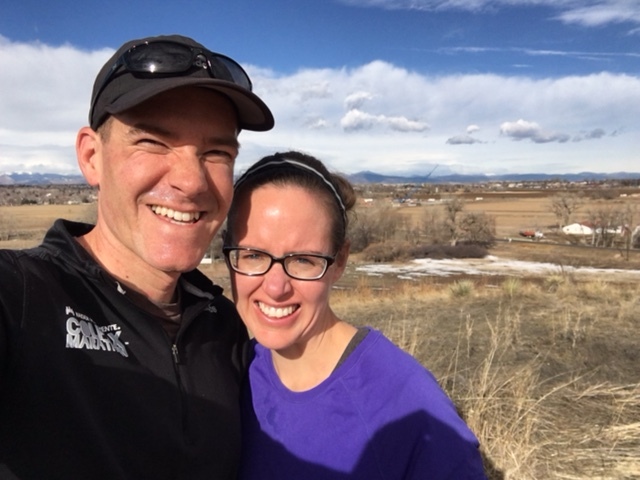 I’m also signed up to run the BolderBoulder with Leighton again this year which I’m looking forward to. He has already been asking about it and Caedmon wants to know when it will be his turn to run it (I told him next year when he’s 5). And so in the mean time I’ll keep adding miles and going up hills and picking up rocks when I need them.